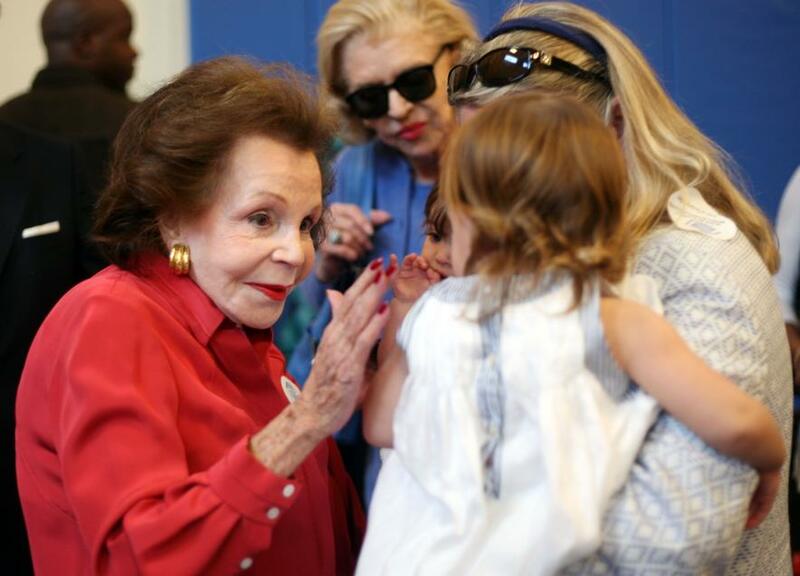 Marjorie Switow Fisher, who combined the salty wit of an irreverent comedienne with the panache and style of a bygone era, passed away in her sleep at her home in Palm Beach Sunday, June 12, 2016. She was 92 years old. She was surrounded by family members, whom she continued to host for meals and to entertain virtually to the end of her life. A voracious reader, she favored a mixture of gossip sheets and the financial press, which she studied diligently in her later years. When her family pointed out to her that the gossip sheets usually had it wrong, her response was always the same: “It doesn’t matter. It makes for good dinner conversation. The worst thing you can do is be boring.” As for the financial press, she was determined to become a knowledgeable investor when her husband died in March of 2005. For nearly six years she led quietly while her five children crafted the organization’s mission and initial grant partnerships. During her tenure as Chair, the Foundation committed more than $70 million in grants with nearly 50 partners on three continents and became recognized within the philanthropic sector as a leader in giving and governance among family foundations.